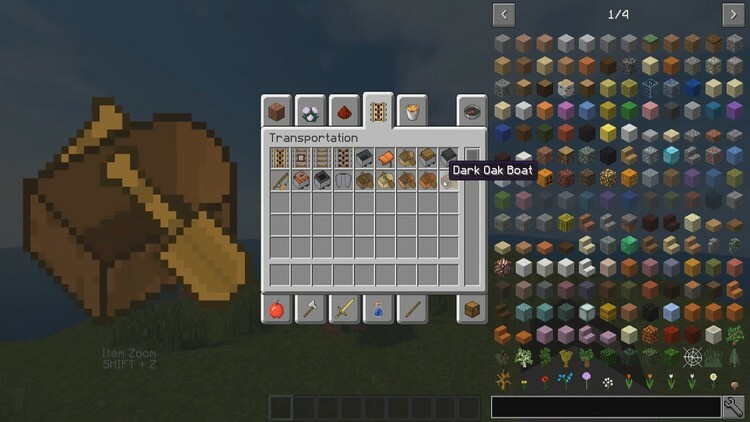 Item Zoom Mod 1.12.2/1.11.2 for Minecraft allows players to view an enlarged version of the block that they are choosing in the Inventory or Creative Menu. Aside from that, there is no other function. As a builder with terrible eyesight, I frequently mistake block quartz to others, as their pattern is too small to tell apart. Whenever I need a block to build, I have to take it out and build a sample to know if it is the correct one. Such practice takes lots of time and effort. 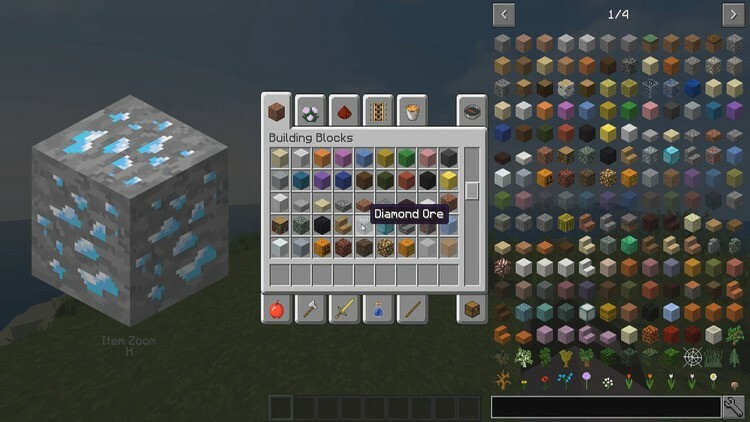 With ItemZoom mod, players can enlarge the blocks just by hovering the mouse over the items in Inventory or Creative Menu. The enlargement helps to display patterns and color clearly, allowing players with poor eyesight to know that they have got the right one. The mod can be toggling on/off by hitting Shift+Z (customizable in control menu). 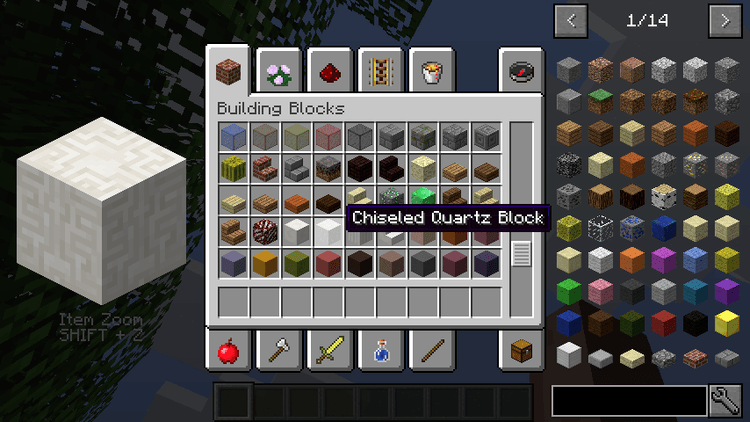 You can also assign a hotkey so that blocks are only zoomed in if you hit that key. The config file can adjust the level of zoom to attain a suitable level of enlargement. 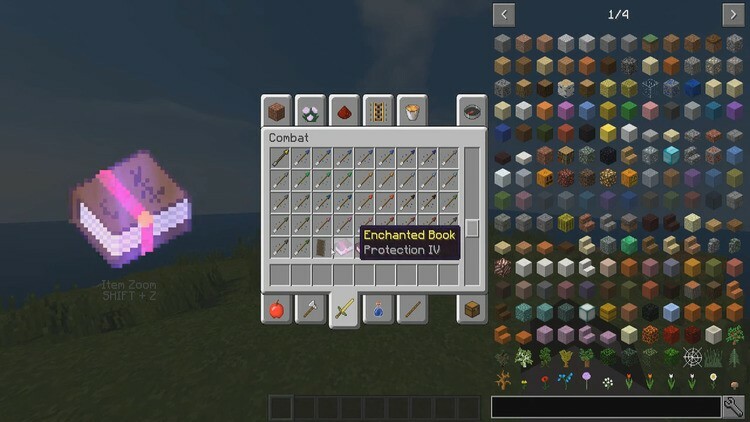 You can download the latest version of the Item Zoom Mod from the link below and follow the instruction to install. Remember to check if the mod needs any additional mod to run. Happy gaming! Download Forge Installer, ItemZoom.jar file.